Widely regarded as one of the best side-scrolling fighters ever created, the 1992 hit – Streets of Rage 2 – is set to be released locally in both North America and Europe as a part of the SEGA 3D Classics line this July. 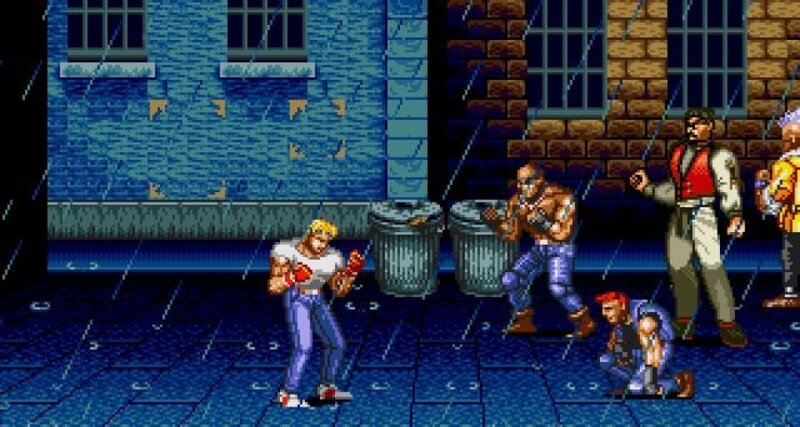 A new listing on the North American 3DS eShop has now revealed 3D Streets of Rage 2 will be arriving in the US on 16th July for $5.99. M2 will follow this up with 3D Gunstar Heroes in August and 3D Sonic the Hedgehog 2 in September. SEGA currently has no plans beyond the upcoming line-up. Thankfully, due to the positive reception and sales the 3D Classics titles have received so far, the Japanese company are open to the idea of more releases in the future. If you’re located in North America, let us know in the comments if you’ll be taking to the streets on July 16.
haha i just picked up streets of rage 1 a few days ago with the discount. now i have some more to look forward to after i finish it. Awesome-sauce! I still need to get some of the other 3D classics. That game backlog of mine is driving me crazy. Yes, that's much better. Now we're talking. Sad that we've not seen a Golden Axe port, though. It will be nice to have SoR2 on the go. Can't wait to one hit punch some punks. I usually wait for a Sale to pick these 3D classics up but for SoR2 it's a blatent day one. Thanks Sega! It was great news that we are getting another batch of 3d classics! Please keep'em coming! Sonic 3 3D would be awesome. If it ends with 2, I'll still be content. YEEEEEEEEEEEEEEEEEEEEAAAAAAAAAAAAAAAAAAAAAAAH! At least somebody is keeping retro alive! I'd like to see some coin-op conversions, such as Golden Axe 3. Road Rash 2 would be awesome, if there was any way that could ever happen. I live in the Streets of Europe, so my rage will have to wait... hopefully not long. 3D Jet Set Radio next please!!! Now all I need is Road Rash and my SeGa Library will be complete! Day one! Thanks Sega!! How bout some wii u love?? Awesome! Keep these coming! They are great additions to the 3DS library. Now if Sega would move the Wii VC games to Wii U we would be all set. Oh I am gonna enjoy beatin heads in to club beats. It'll be a breakbeat beat down! Lol skate all the way for me.